"I think being able to bowl might help my case. Hopefully I can perform in the warm-up games and put my name in the hat." Joe Denly hopes his chances of an England Test spot have been increased by his player-of-the-match display in the T20 win over Sri Lanka. 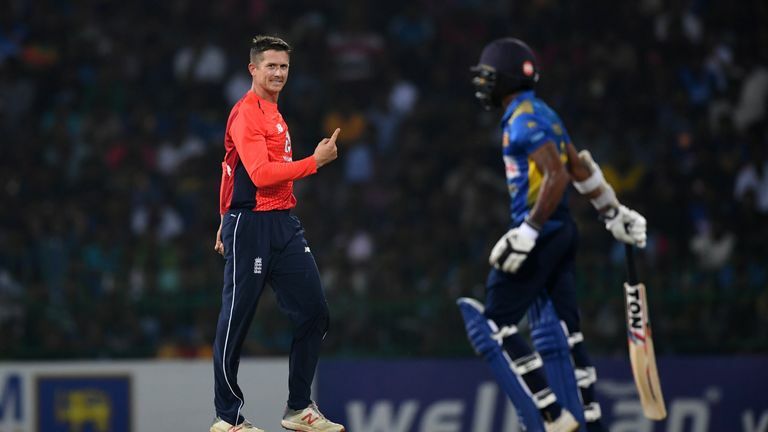 Denly, 32, took 4-19 with his leg-spin after opening the bowling and chipped in with 20 from 17 balls batting at No 7 in his first England appearance in eight years as Eoin Morgan's side triumphed by 30 runs in Colombo on Saturday after posting 187-8 and dismissing their hosts for 157. The Kent star - only added to his country's white-ball squad following an injury to fellow spinner Liam Dawson after the second ODI - is now eyeing a spot in England's Test side when the three-match series against Sri Lanka starts in Galle on November 6, live on Sky Sports Cricket. "I think being able to bowl certainly might help my case and hopefully I can perform in the couple of warm-up games before the Test series and put my name in the hat," said Denly. "It was a good opportunity to come out early and acclimatise a bit more. Batting in the nets was tough, getting used to the pace, so I think the 10, 11 days I have been here has hopefully put me in good stead for the Tests." Denly added: "It's been quite a while since I've been in England colours but I am delighted to be back and contributing to wins. "It was very satisfying to put in a performance like that, so I am over the moon. There were a few nerves but it was excitement more than anything." Denly claimed over 50 wickets for Kent in all competitions in 2018, including 20 in the Vitality Blast as the Canterbury outfit reached the quarter-finals and 14 in the Royal London One-Day Cup as the county made the final. "My bowling has come on in the last year or two," said Denly, who also believes his experience of playing in global T20 leagues, such as the Big Bash and Pakistan Super League, has aided him. It was a new experience for me against one of the best bowlers in the world at the death. It was tricky and he had me in all sorts of trouble but I managed to contribute a little bit and I was happy to get us up to a decent score. "I land my leg-spinner generally pretty well and I think being predominantly a batter I get a good sense of what the batter is going to try and do. That certainly helps bowling at the top of the order. "Playing in [T20 leagues] certainly helps. The standard of cricket is high, not far off international cricket so dealing with those pressures helps." Denly also scored 1,792 runs in all tournaments for Kent in 2018, including 828 in the Specsavers County Championship as his side earned promotion back to the top flight, with the Canterbury-born player named Players' Player of the Year at September's PCA Awards. "This year at Kent he has had a bit of a Garry Sobers year - he has done absolutely everything," said Morgan after Saturday's victory. "I thought it was an outstanding comeback. Nine years ago he came into the England side as an opening batsman and he has come back into the side as a very good all-rounder. "He has taken on some serious roles that guys find difficult to do when they come into the international scene, so hats off to him." 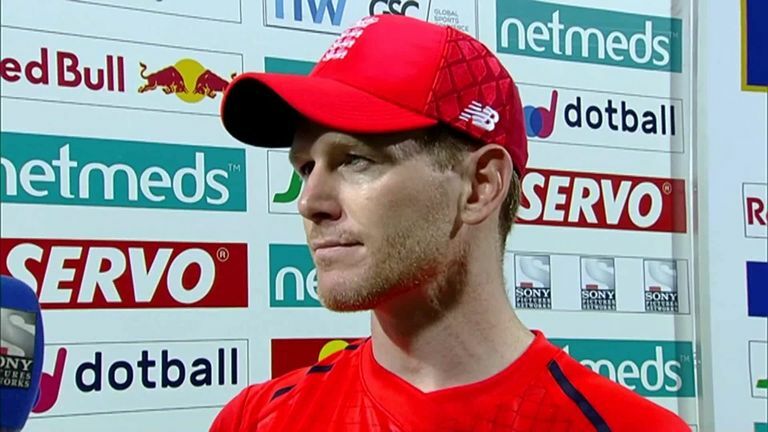 Sky Sports Cricket expert Ebony Rainford-Brent says Denly showed his "character" in the T20 win and could now nail a Test position with a score in next week's practice fixtures in Colombo. "He might feel like he is living the dream but he has actually delivered," she said. "Selecting him in the squad is one thing but could he stand up? "I think that character side comes in now and England know they have someone to turn to. It could open up a little window and he could sneak in with a score in the warm-up games."